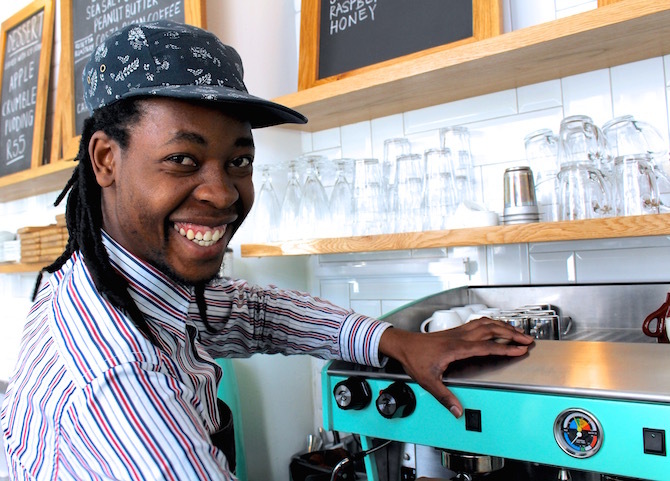 If you want your coffee served with a smile, then Beaven is your guy. Not only does he beam from ear to ear, but his knowledge of coffee and the care he takes in brewing a cup means every coffee made by Beaven is a joyous experience. The Creamery: Quick! Word association game-give us four words you associate with coffee. TC: What information would be useful for people to know when ordering a coffee? Beaven: Nowadays, many cafés favour flat whites over cappuccinos, and they’re not the same drink. Flat whites have less foam than cappucinos and can be quite strong as a result. They can often be too strong for people who enjoy cappuccinos. People should also try drinking coffee without sugar and not add sugar automatically. That way you get to experience the full flavour of the coffee without masking it with sweetness. If you can’t drink coffee without sugar, you might want to try drinking a weaker beverage. For example, going from a flat white with two sugars to a latte without sugar. Don’t be afraid to ask your barista to make a beverage to your liking (extra shot, single shot, more foam, less milk, etc.). Beaven: I like drinking flat whites. I like strong coffee-I also drink espressos. There isn’t too much milk in a flat white so you get to enjoy the flavour of the coffee faster than drinking a latte or a cappuccino. Beaven: It’s a skill and all skills must be learned and developed. You need to be precise in order to make a good coffee. There isn’t a lot of room for error. 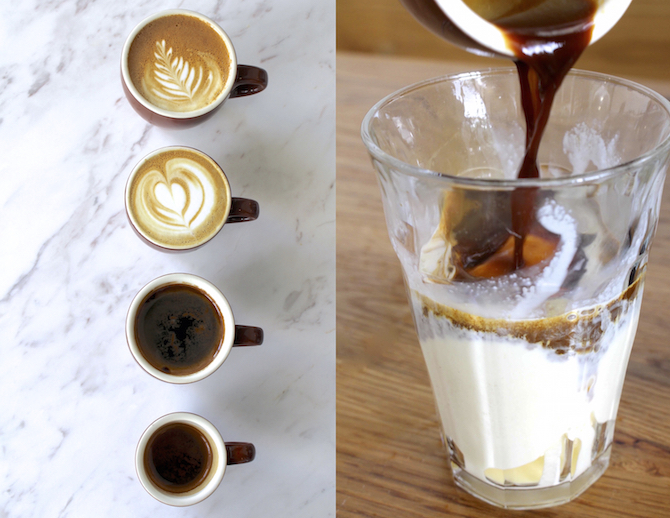 TC: What’s your favourite Creamery ice cream flavour to eat when you’re drinking coffee? Beaven: Sweet Cream is the most neutral so it compliments the coffee well and won’t overpower the coffee. But our Coffee Ice cream paired with an espresso is also delicious. The more coffee, the better!